From the start of Lemonly, I made it a goal to create a company that people could be proud to be a part of. I wanted people to know Lemonly for two things — 1. Amazing visual storytelling and 2. A company environment and culture where people come first. I wanted to be an example of a special company, particularly in our home of Sioux Falls, where there are fewer examples of these “new age” or Silicon Valley-type of companies. I wanted to inspire other Sioux Falls entrepreneurs and businesses to build people-first companies. Everyone’s looking to know what everyone else is doing — as are we — so I figured I might as well post our current benefit list publicly. Last year was a great year for Lemonly. We achieved our goals as a company, but we “arrived” as a company with a great company culture. We put Lemonly and its culture on the map. In 2017, we launched the Company Culture Survey. We wrote and shared tons of content through the Humans and Resources newsletter and blog, which became the recent launch of Fabric, a company dedicated to helping other companies with their culture. I think the push that we needed at Lemonly to really ignite the culture was to embrace transparency and share the good news of our culture. We were already writing posts about Lemonly’s culture and sharing why it mattered. But last year in January, we elected to make all of our benefits public that ensured we were walking the walk, not just talking the talk. So, in honor of last year’s 2017 benefits, we’re posting the continuation and updates to Lemonly’s 2018 benefits. Because we know we can’t just stay put. Culture is always changing and never complete, and so we keep building. *any listed benefit with an asterisk means it is new for 2018. Work anywhere: People at Lemonly can work from wherever they want. We currently have remote employees in Coeur d’Alene, Idaho, and Vancouver, Canada. In the past we have had team members in Miami, Omaha, and as far away as Serbia. This benefit isn’t just for remote workers either. HQ folks in Sioux Falls can work at home, a coffee shop, or do a workation — wherever they get their work done. Top 25% salaries: Most job postings list competitive salary––we used to do it too––but no one ever knows what that means. We’re trying to get smarter about salary and what is appropriate in our marketplace. Honestly, we still don’t have enough data and need more research, but so far we’ve found that our salaries fall in the upper 25% for our market. We try to measure our salaries off of the local market, so Sioux Falls folks in Sioux Falls and Vancouver in Vancouver, etc. *Paid Overtime: A year ago we thought we’d be preparing for some of the anticipated changes in the law regarding salaried employees and overtime. It turns out those never happened, but we decided to pursue an overtime policy anyway. We don’t want our employees continuously working 50 hour weeks and getting burnt out, but if they do have to put more time in than normal during our busy sprints we want them to be compensated. If an employee works more than 10% more than a standard week (40 hours) in a two-week pay period (80 hours) then they’ll get paid OT. Said simply, you work more than 88 hours in two-weeks we pay you time and a half for those hours over 88. 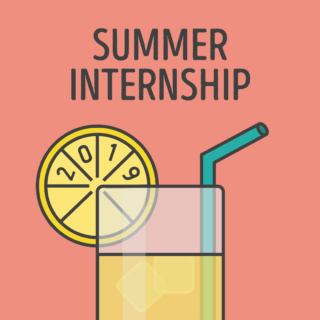 Vacations and paid holidays: Lemonly offers 3 weeks of paid vacation (15 days), 8 national holidays every year (we have a U.S. calendar as well as a Canadian calendar for our Vancouver friends), and 2 sick days for a total of 25 paid days off per year. 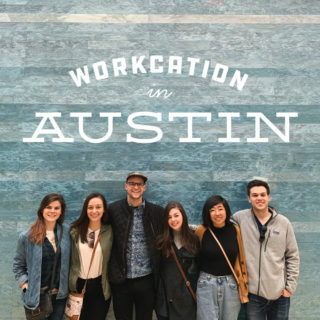 Employees who’ve worked five years at Lemonly get to bump their PTO up to 20 vacation days. On top of this, we offer flexibility for folks who want to take extended trips (honeymoons, trips to Europe and Asia, time with family) by letting them either go into negative PTO and make it up, work extra time, or even take unpaid days. *VTO (Volunteer Time Off): We give 1% of our revenue to non-profits and charities, but money is only one half of the equation. We also want to give time. This year we’re giving every Lemonly employee four hours of VTO (volunteer time off). So if they want to volunteer/serve/fundraise/whatever a cause of their choice needs, they have four hours to do so on company time. It gives folks something to look forward to. When you’re grinding it out in March and April, you can be excited knowing Summer Hours are just around the corner. It gets folks outside. We live in South Dakota and have long, bitterly cold winters. The last thing we want to do during our summer months is be stuck in an office. With Summer Hours, people can hit the road and head to the lake or get outside and grill. And guess what––we see no loss in productivity during summer hours. Health, dental and vision insurance: Lemonly offers a Wellmark Blue Cross/Blue Shield PPO for health insurance and will pay $200/month ($2,400 annually) toward employee health insurance. If a Lemonhead elects not to take part in the plan (or gets healthcare via a partner or family member) he or she can simply take the $2,400 as cash toward their salary. We offer dental and vision through a supplemental Principal Insurance plan, but this cost is incurred by the employee. 100% match 401k retirement plan: After one year of employment at the company, Lemonly will match 100% dollar-for-dollar (up to 3% of the employee’s salary) that Lemonheads contribute to the plan. The past two years, we’ve also done a $20,000 end-of-year profit-sharing bonus split up to those who are in the 401k plan. Paid parental leave: 2016 was a big year for parents at Lemonly with four new Lemonhead babies being born. We adjusted our policy at the start of 2016 to accommodate for these current and future parents. Lemonly offers four weeks of paid leave for new moms and two weeks of paid leave for new dads. We also have three current mothers in the office that work four-day weeks to allow them to have more time at home. 5-year adventure bonus: In 2017, our five and a half-year-old company will have our first employee reach five years at the company. We highly value loyalty, and in accordance to one of our core values of Adventure, we give each employee $2,500 and an extra week of vacation to travel internationally as an adventure bonus on their five-year anniversary. Continuing education allowance: If folks want to take an online course, buy a book for the Lemonly library, or attend a conference, they simply need to ask. We want our employees to continue to learn and grow. Company retreat: Lemonly will cover an all-expenses-paid trip for our annual company retreat. We fly the remote employees in and head to a lake, cabin, other lake or another location away from Sioux Falls to share ideas on how to improve the company and to get to know our coworkers outside of the office even better. All the warm fuzzy feelings! See more about our retreat activities on the blog. (Link in bio.) ??? 100% coverage of hardware/software: Lemonly will cover the total cost for hardware, software, or subscriptions team members need to do their jobs. Get the right tools, do the best work. Revenue goal distribution: We set team goals for each quarter that are shared and measured. If we beat those goals, Lemonly shares every dollar above the goal 50/50 (half back to the company to reinvest and half to the team). Annual 3/2/1 charity donation: At the end of the year we set aside $6,000 to be donated to local charities. Each employee nominates a charity of their choice. The team votes for their favorite three, and based on those votes we make donations of $3,000, $2,000, and $1,000 to the top three. 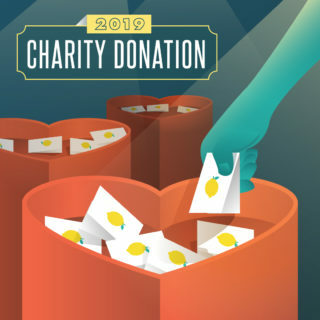 When employees donate money to a qualified charity, Lemonly will make a matching gift to that charity on their behalf (annual matching budget of $6,000). Charities must be a registered 501c3. Bi-Monthly lunch and learn: Every other month, we bring in a local presenter, feature a Lemonly team member with an expertise, or visit a location to learn about a topic relevant to our team––ranging from mortgages and investing to making sushi and yoga basics. Lemonly provides the lunch and the time to learn. So far, so good. *Office snacks and beverages: This is something we’ve done in the past and just didn’t have on the list. Over the past few months, we’ve curated this list more closely and are trying to add to it with more healthy snacks. We have our on-going supply of La Croix (we’re no longer buying soda — see wellness section below), local coffee, local beer (A beer is still better than a soda, right? Everything in moderation. ), and an array of healthy snacks like fruit, nuts, yogurt, and more. Lemonly holiday gift: We try to do exciting gifts for the holiday season. This past December, we gave each employee $80 and 90 minutes to go out and spend it on themselves. Some hopped on the Internet, some hit the streets in downtown Sioux Falls, and the Vancouver crew even got together at a mall in their area. We reconvened for a great round of show and tell. Because our bosses are the bomb, each Lemonhead got a holiday surprise––cash money and 45 minutes to spend it on something fun. Was it high-pressure? Maybe a little. Was it a blast? Yeah, you betcha. When time was up, we reconvened to share what we went out and bought (or stayed in and ordered.) Sneakers! Beard trimming shears! A purse! AHHH! Are we a lucky bunch or what? Hoping you and yours have had a wonderful holiday season! ? Wellness team: (in-progress) A big focus for our company in 2018 is wellness. Our definition of wellness is all-encompassing, including mental, physical, spiritual, financial, and social wellness. We are launching a WTF (Wellness Task Force) comprised of a handful of Lemonheads to discuss team needs, start company challenges, and hold folks accountable. We’re considering a subscription to Headspace for mediation, office yoga, morning shakes, a constant supply of healthy snacks, financial education, a team 5k, and more. At this juncture, we’re not writing anything formally into the policy, but agreeing to pursue all avenues and see what fits and what sticks. Expect updates to this section by end of the year. The first point to understand when developing a company culture and building out HR policies––It is a puzzle of pieces that continues to evolve and change. We constantly add pieces and change pieces of our policies as our team not only grows in size but in age. We want to put together compensation packages and benefits that are most relevant and needed by our team. This second point, to all business owners and entrepreneurs especially, don’t worry if you can’t offer everything you want to today. Most of these benefits we did not have even three years ago. With each year that Lemonly gets older, we reassess the team’s wants/needs and try to add to the benefits and compensation package. The important part is to just get started and build that company culture piece by piece. If you have questions about any of these policies, feel free to email me — john@lemonly.com. I’d also love to hear ideas of new benefits or perks we should add to the roster. Best of luck to you and your team in 2017! If you like reading about people and companies, and companies that put people first, sign up to receive more great stories from Fabric.